Office Lens is a new app for iOS and Android (still in limited beta) designed for converting pictures of notes on whiteboards and paper into notes that can be edited in Microsoft Word or PowerPoint. If you don't need to edit the notes that your take pictures of, you can simply export the file created by Office Lens to JPEG or PDF. Probably the neatest aspect of Office Lens is that hand-drawn images and figures captured through the app can be separated from the text to move and manipulate as individual objects in PowerPoint slides. See the video below for an overview of Office Lens. 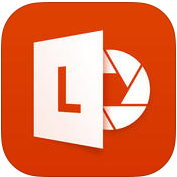 Office Lens could be a great app for students to use to snap a picture of something on a whiteboard then add their own comments to it in a Word Document. The option in Office Lens to separate hand-drawn objects could be a good way to digitize a brainstorming session. When I brainstorm I often do it in a paper notebook that has pages of edits. By taking a picture of the brainstorming session I could separate each part of the notes then move them into new positions on slides or in a document. H/T to Lifehacker and about a half dozen other tech blogs I read this weekend.